John Padgett, Chief Experience & Innovation Officer of Carnival, will deliver the opening keynote at the upcoming Interactive Customer Experience (ICX) Summit. The why, how and impact of embracing emerging technology is the focus of a keynote by Carnival's John Padgett during the upcoming Interactive Customer Experience (ICX) Summit. The annual event, which draws hundreds of innovative leaders, is being held June 12-14 in Dallas. 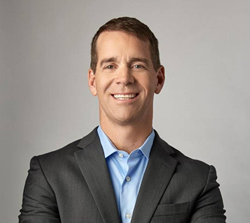 Padgett, Carnival Cruise Lines' Chief Experience and Innovation Officer, and an integral member of Disney's MagicBand and MyMagic+ project, will share in his keynote session; What it takes to bring innovation into the cruise and travel customer experience. The impressive list of panel speakers include Domino's Pizza Director of Digital Retail Experience Amber Gadsby; David Kepron, Marriott International's Vice President of Global Design Strategies; Shannan Coghill, Global Experience Director for Michael Kors; Angela Gearhart, VP of Brand Experience for Sleep Number; Rent-A-Center Senior Manager for Marketing Research Jennifer Moretti; Long John Silver's CEO James O'Reilly and Under Armour Vice President of Global Store Development Tom Walsh, just to name a few. Two of this year's four tours include a tour of The Star, the Dallas Cowboys' world headquarters, and the Reflect Digital Innovation Lab. Top innovators and leaders via the ICX Association's Elevate Awards, which will be honored and announced at a dinner at Topgolf. 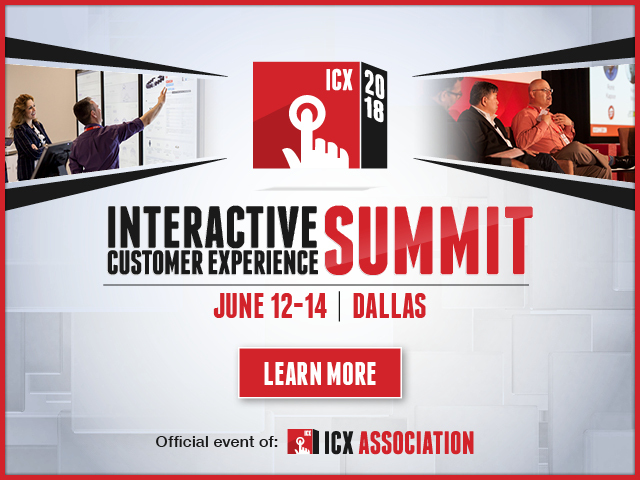 The annual ICX Summit, which draws hundreds of innovative leaders, is being held June 12-14 in Dallas. Early Bird pricing ends Friday, March 16.